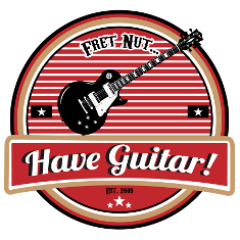 P90SR Archives - Fret nut... Have Guitar! Wam bam – a new video just like that! Consider it a bonus, hey… we’re getting closer to christmas, right? So, it’s a new pack from Reampzone – the Killer Cleans pack, first revision! (Yes, there will be a second as well!) Each of these profiles has been tweaked for even better sound and included are both EQ and new effects, kinda modernized as the Kemper FX has been updated over the years. In this first revision there’s 16 different amps used and they are: Blackstar Series S100, Bogner Alchemist, Bogner Uberschall, Diamond SpecOps, Diezel Einstein 100, Diezel VH4, Dumble ODS 50 HRM, El Diablo 60, Engl Savage 120, EVH 5150 MKIII 100, Framus Dragon, Friedman BE 100 Deluxe, Fryette Sig X, Fuchs Blackjack 21, HH-V-S Musician & Hiwatt HiGain 100. This pack certainly is something for you who are looking for a sweet collection of perfectly clean tones. All comes with some effects – of course tweakable with the Kemper to your own liking! And thanks for watching Have Guitar! I hope you liked the video – feel free to support me with a subscription! And as allways… a really BIG thanks to all you who subscribe already!! !